Mod Car Ferrari F80 Concept For Android Dff Only. 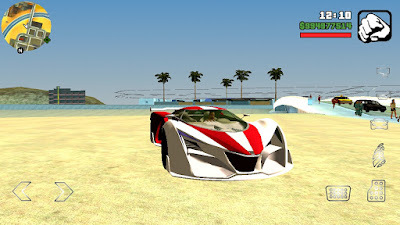 A great high quality Lamborghini Veneno Car Mod for GTA SA Android. The maker of this mod is “MC”. This mod will replace “ZR-350” car with “Lamborghini Veneno” You can use Car Spawner Mod to spawn ZR-350 (and it will spawn this Lamborghini Veneno car). This is a ‘dfI” only version, means this mod does not require computer to install. To know how to install ‘dff files mod (or car mods with your Android phone) then please follow tutorial below. You can still install this mod with PC. this mod with your phone, please Click Here for deep step by step tutorial. • To uninstall simply delete the moved files.